How colonisation and other factors prevented an interconnected educational system in the Nile Basin. Though Nile Basin countries share the same river, there isn’t much sharing in the field of education. Between language barriers, political tensions and different curricula, students find it hard to continue their studies within the region. Students end up losing time, face difficulties in registering, or struggle with a foreign language. “Education, according to the colonial heritage, created a language barrier,” said Professor Omer M. Ali, International Relations Expert at the University of Khartoum. “So we find most likely in Congo, Rwanda and Burundi, a French education. In Kenya, Tanzania, and Uganda, a British education. These languages are official in these countries even for media and formal treatments. Ethiopia, Eritrea and South Sudan are also English, and it is Arabic in Egypt and Sudan.” Professor Ali notes that due to these challenges, it is sometimes easier for university students to continue studying abroad than within the Nile Basin region. 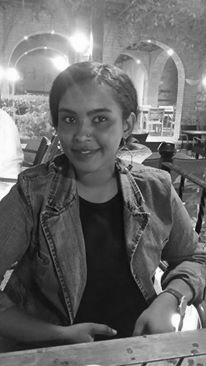 “I think relations between Nile Basin countries in the education field are very weak,” said Dr Asmaa M. Jumaa, a social worker in El Neelain University. “The political relations have a big impact on the collaborative relations – Sudan and Egypt are an example,” she said, adding that decades ago, the effect of politics wasn’t as intense as it is currently. Cairo University in Khartoum (now El-Neelain) once played an important role in a Sudanese-Egyptian educational collaboration, yet after the nationalisation of the university, things have not been the same. There are still Sudanese students in Egypt despite the difficult regulations influenced by a political agenda and the increased number of educational options in Sudan, according to Prof. Ali. In the past, both Egypt and Britain colonised Sudan and a number of students went to each of the countries; now there are differences in the systems, in addition to the political issues such as Halaib borders and Nile waters; which caused complex registration. “We just received a proposal from China, which is very different and far away, yet we are willing to make a mutual exchange program in the universities,” said Professor Ali. “Why can’t we do that within our region?” he wondered. Professor Ali stressed the importance of countries reaching out to their neighbours to facilitate movement. “My experience studying side by side with girls from different African countries was very useful,” said Emil, “as it teaches me how to deal with various types of people. “All these countries are trying to adapt to a new system, a more successful one, but from my understanding and my nine years teaching experience, every time they try to move from a colonial system to a new one, they find it challenging,” said Mr. Y, a Ugandan teacher who has taught at all school levels in Sudan.